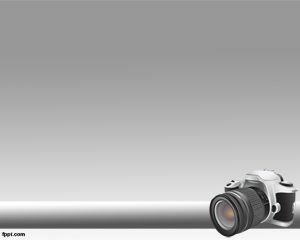 Photography is a renowned art and plays a perennial role for development in many fields of society. 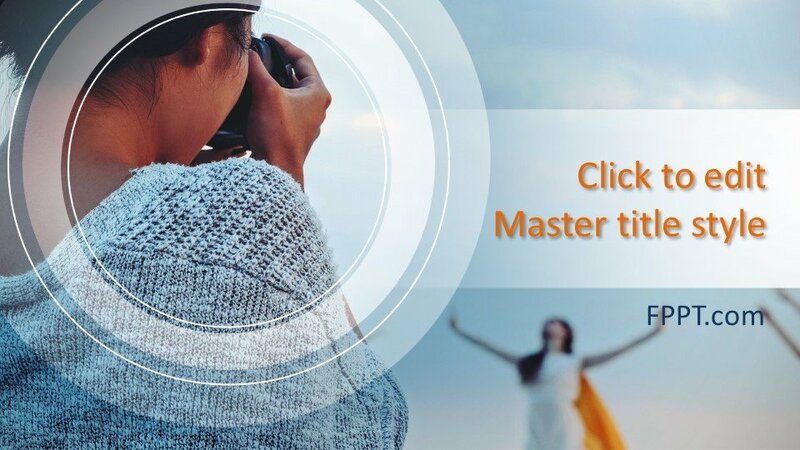 The picture of a girl in the background taking a photo of a friend is a good representation of the topic. 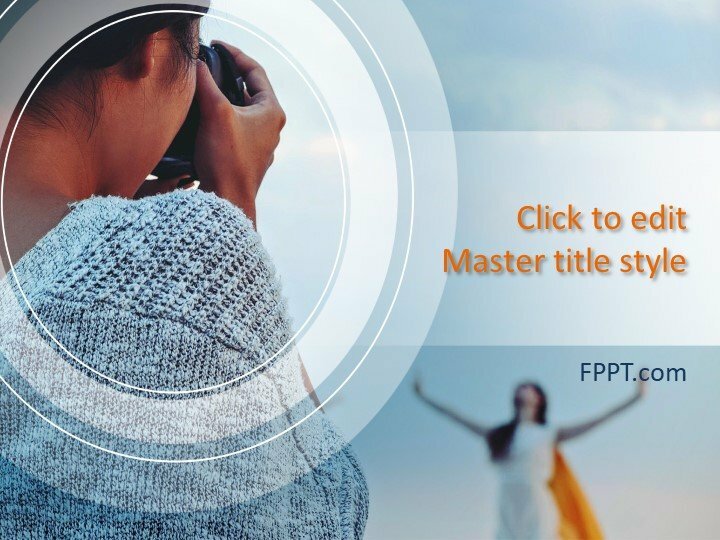 It can be placed in the presentation of the topic photography and its importance or for a newspaper, magazine and other electronic and print media that uses photos to demonstrate their business articles. 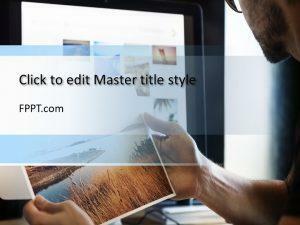 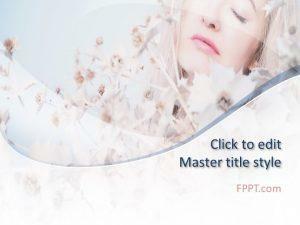 Here is a Free Photography Powerpoint Template for placing it in the background of presentation slides or for use in the main slide design. 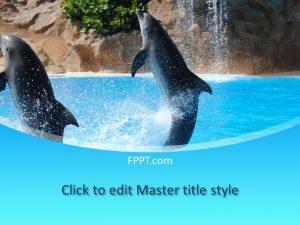 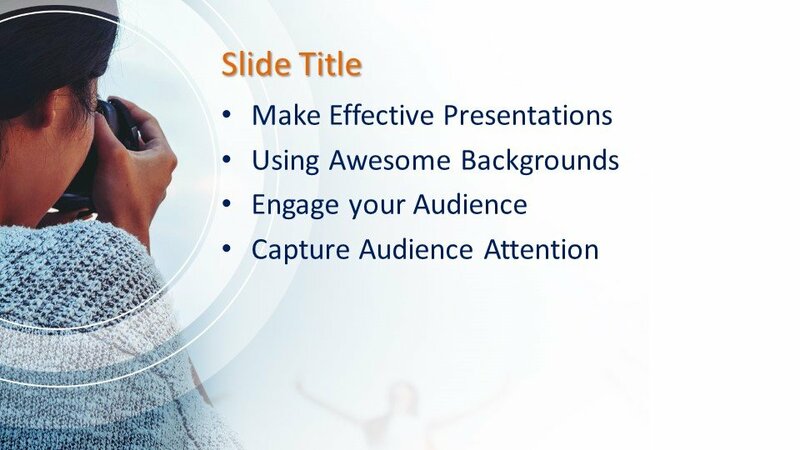 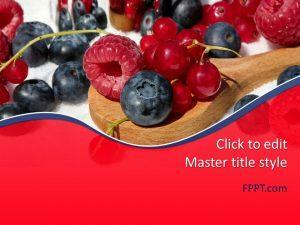 This PowerPoint design is a latest and simple background theme. 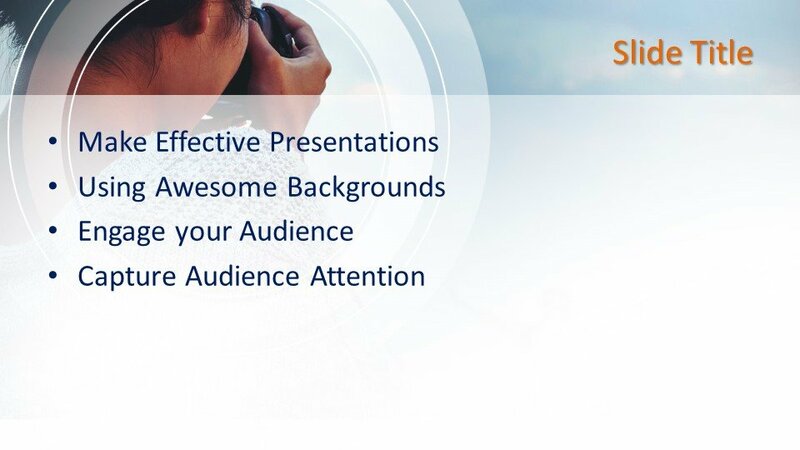 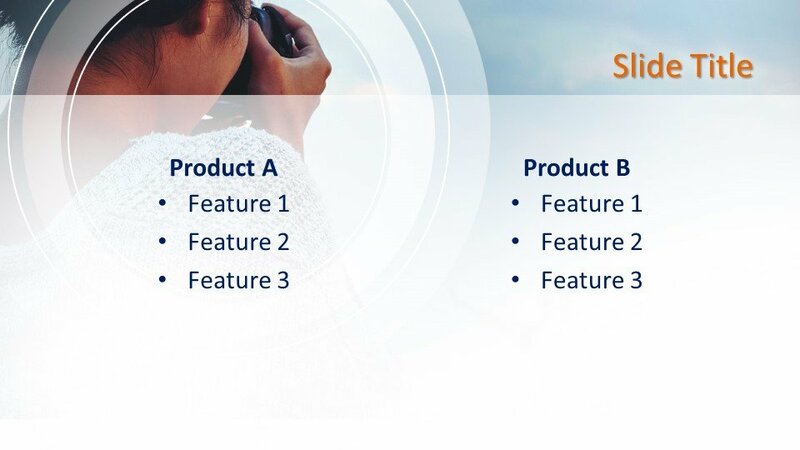 The audience will attract to the slide show and topic can easily be demonstrated with this design. 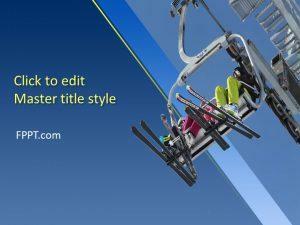 It is crafted in 16:9 ratio and compatible with all versions of PowerPoint software.